I'm sure you've noticed, from our social media accounts, that we have cats. And until recently, we had three. Our 15 year old Emma passed and, I'll be honest, it's been really hard. 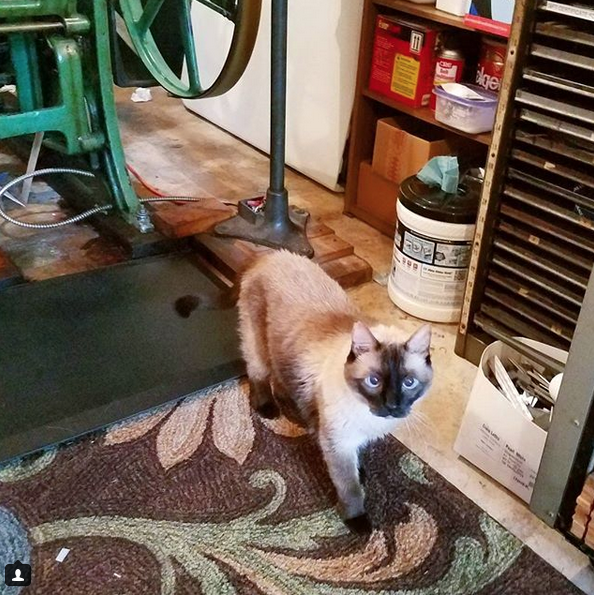 She was a terror of a siamese, but damn we loved her! She and I had so many routines, and I had had her since she was four weeks old, so yeah... it's been rough, still. She was my (evil, evil) girl. She was not impressed. She was more of a computer helper than a studio helper. And so now we're down to two sales kitties at Team Inviting. To prevent me from adopting all the cats I come across, I am now volunteering at Austin Pets Alive!, specifically with the cats. Did my first session with them last week and am doing two this week. And then it will be a once-a-week thing. I figure, since I can't adopt them all, I can help them get adopted by other people. And inviting is helping the animals, too. 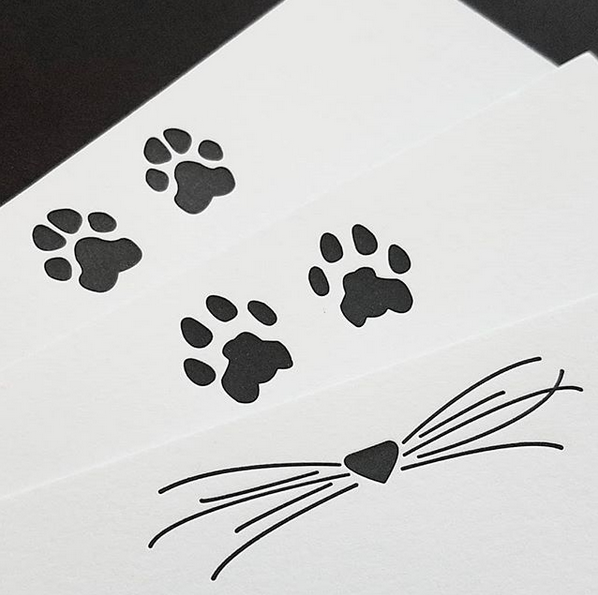 50% of the profits from our cat and dog items will be going to the Austin Humane Society. They have a feral cat, trap and release, spay/neuter program that is fantastic and helps curb the stray population. Big fans of this program- I wish all the cities had it. So, since they're too far north for me to volunteer with and still be able to do my krav classes, we're going to send them some of our profits. One great organization gets my time, another great organization gets our money. It's not much, but hopefully it helps. I'm really excited about these new cards. The black ink is super bold and the impression so crisp. And I can't wait to print them in fun colors for you, like neon pink, lime green, or whatever you need them in. I aim to have another item or two in each release we have that will benefit AHS.